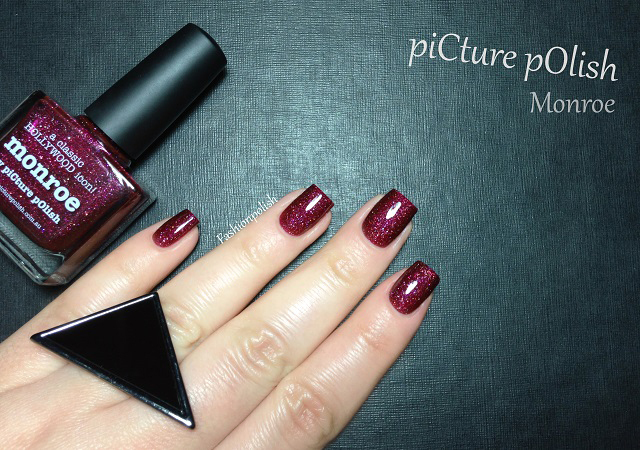 Fashion Polish: piCture pOlish Monroe Review! 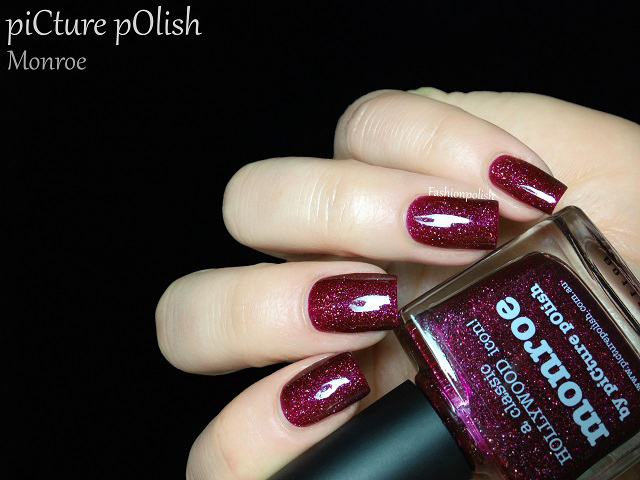 I hope you're not tired of my piCture pOlish and Ozotic reviews because I have a few more beauties to share with you, including as of today : Monroe! 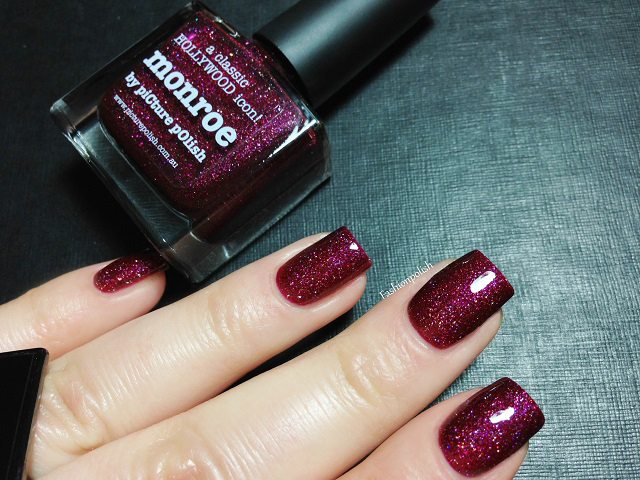 Monroe (reborn-new formula) is a deep burgundy jelly packed with tons of piCture pOlish signature scattered holo particles. 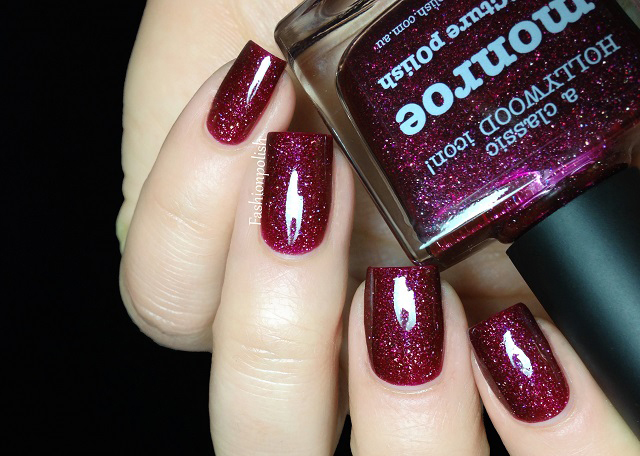 It's super vampy and classy and I loved seeing those little rainbows come to life on my nails! Application was effortless and I used 2 coats in my swatches to keep it jelly-like but if you're looking for an even deeper look, you might want to add a third one. Isn't it gorgeous? I mean look at these twinkling rainbows! piCture pOlish Monroe retails for AU$12 and can be purchased directly from piCture pOlish.com.au or through their international network. NEVER sick of Picture Polish and Ozotic!! Very pretty. Any idea how similar it is to Zoya Blaze? I could never get sick of Picture Polish or Ozotic! This one is a true beauty. Do you know if it's very similar to Zoya's Blaze? This is one the most beautiful polishes that I know of. Oh man, this is gorgeous! Wow, it is so beautiful! Gorgeous swatches as always. Love every Picture Polish I have ever seen! so many lemmings! 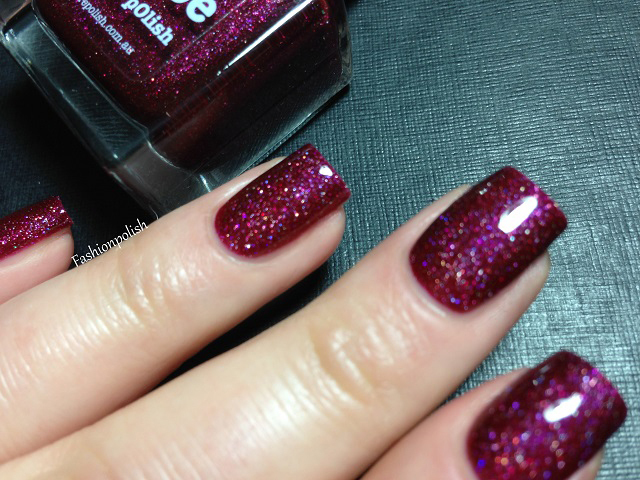 Is very similar to Extragance Opi Ds. Very beautiful! I don't think anyone could ever be tired of anything you swatch lol! WOW, this nail polish is just.... Gorgeous!!! I have wanted Monroe for so long! Every time I see it I'm blown away. This color will be so nice on the toes! love it!